The old saying goes ‘an apple a day keeps the doctor/ dentist away – delete former/latter depending on your generation. But there seems to be something which can knock any fruit or vegetable into a cocked hat: yes, the humble polyunsaturated fatty acids (PUFAs). A new piece of research has suggested that Omega 3 fatty acids found in foods such as oily fish, nuts and eggs will help people avoid gum disease and the more serious periodontitis. The research examined the diet of 182 adults between 1999 and 2004, and found that those who consumed the highest amounts of fatty acids were a whole 30 per cent less likely to develop gum disease and 20 per cent less likely to develop periodontitis (severe gum disease). As a result of this research, Dr Naqvi believes that dietary therapy could become a less expensive and safer way of preventing/treating periodontitis. Currently treatment involves mechanical cleaning and the application of antibiotics. Encouraging sufferers to eat more fish and nuts would also benefit their health in other ways. Gum disease is caused by plaque (the film of bacteria that forms on the surface of the teeth). To prevent and treat gum disease all the plaque must be removed from the teeth every day by brushing twice a day for two minutes each time. This should be followed by cleaning in between teeth with interdental brushes or floss. Inflammation and soreness of the gums is one of the first signs of gum disease, and often gums bleed when they are brushed during cleaning. You will notice your gums look puffy and inflamed where they meet your teeth. Over time gum disease becomes more severe and can impact the tissues supporting the teeth. The bone anchoring the teeth in the jaw is lost and the teeth become loose, if not treated this can lead to teeth eventually falling out. Anyone with inflamed and bleeding gums should visit their dentist to find out the appropriate way to treat it. If caught early, gum disease can be easily cured by short term use of medicated gels and mouthwash. The British Dental Health Foundation is the UK’s leading oral health charity, with a 39-year track record of providing public information and influencing government policy. It maintains a free consumer advice service, an impartial and objective product accreditation scheme, publishes and distributes a wide range of literature for the profession and consumers, and runs National Smile Month each May, to promote greater awareness of the benefits of better oral health. The Dental Helpline, which offers free impartial advice to consumers, can be contacted on 0845 063 1188 between 9am and 5pm, Monday to Friday. Alternatively, they can be contacted by email on helpline@dentalhealth.org.uk. Gum disease is currently rife in the UK, with even children in their early teens showing signs of it. Now new research has pinpointed the reason for this – the majority of adults, around three quarters of the population, spend just 40 seconds brushing their teeth! Even those who brush two times daily still have plaque on 69% of their teeth surfaces. Shocking isn’t it? There is a further dental related concern for ladies who have just come out of the menopause. One in three post-menopausal women over the age of 50 suffer from Osteoporosis, the condition in which there is a decrease in bone mineral density. The disorder leads to bone loss and the jaw bones are not exempt from this. The similarities in bone loss between gum disease and osteoporosis led experts to investigate whether or not osteoporosis was a significant risk factor in tooth loss. It was found that patients suffering from the condition had three fewer teeth on average than otherwise healthy control subjects (with age and smoking history taken into account). Therefore we should all do whatever we can, especially those ladies over 50, to reduce the levels of plaque in our mouths. It will be an ongoing task for our dental health professionals to re-educate the nation on how to brush their teeth. However, the benefits of using an alcohol free mouthwash twice a day would be a much easier message to get out into the public. 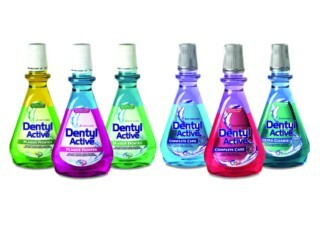 We’ve been using the new Dentyl range of alcohol free mouthwash. The organisation recommends brushing your teeth for no less than 2 minutes followed by usage of their mouthwash. 1. Using a small headed toothbrush and starting at the back of the mouth work across each tooth with a circular action, making sure the toothbrush gets under the gum lines. The fact that your plaque comes out in the sink as brightly coloured gunk might be slightly off-putting to some but at least it shows that the mouthwash is effective in removing plaque deposits, so we like it. Our reviewers felt the mouthwash was very effective in a number of areas – it left a pleasant taste in the mouth, helped to speed a developing mouth ulcer away and did not affect the taste buds long-term. 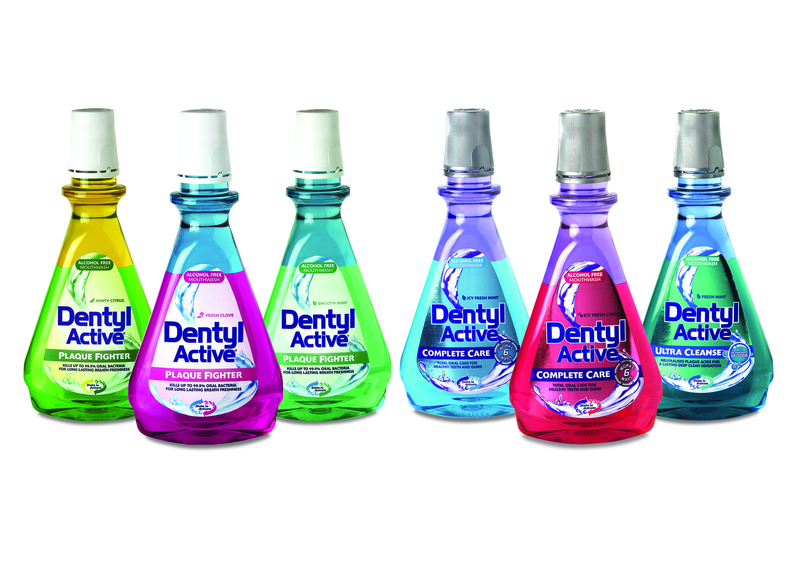 With alcohol based mouthwashes you seem to get a stinging aftertaste which lasts most of the day and impairs the taste of food, which did not happen with alcohol free Dentyl – another plus point. The range includes new cherry and citrus flavours which, again, are quite controversial for a mouthwash but surprisingly nice. New York: Researchers at Virginia Commonwealth University have established a link between gum disease and high levels of a particularly bad form of low-density lipoprotein (LDL). In the new study, researchers focused on 12 subjects with generalized aggressive periodontitis and 12 healthy controls. Researchers found that patients with generalized aggressive periodontitis, a condition associated with chronically infected and inflamed gums, generally had elevated plasma levels of a subclass of the low-density lipoprotein (LDL) called small-dense LDL. Past studies have linked small-dense LDL with a three to six fold increased risk of heart disease or stroke. The study found that one reason the periodontitis subjects may have had an increased level of small-dense LDL is because they had a decreased level of activity of an enzyme known as platelet activating factor acetylhydrolase (PAF-AH). PAF-AH is able to break down some of the inflammatory, atherogenic components of LDL. The observed decrease of LDL-associated PAF-AH activity in patients with severe periodontitis may increase the cardiovascular risk of these patients and be partially responsible for the increased plaque build up in the arteries of periodontitis patients. Currently, the researchers are conducting a larger study with a greater number of patients who have different degrees of periodontitis.